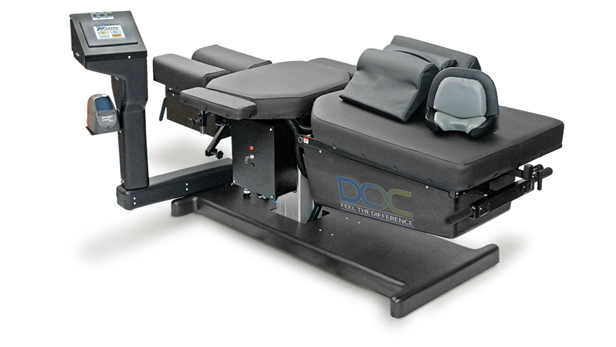 Spinal decompression works by gently stretching the spine. That changes the force and position of the spine. This change takes pressure off the spinal disks, which are gel-like cushions between the bones in your spine, by creating negative pressure in the disc. As a result, bulging or herniated disks may retract, taking pressure off nerves and other structures in your spine. This in turn, helps promote movement of water, oxygen, and nutrient-rich fluids into the disks so they can heal.